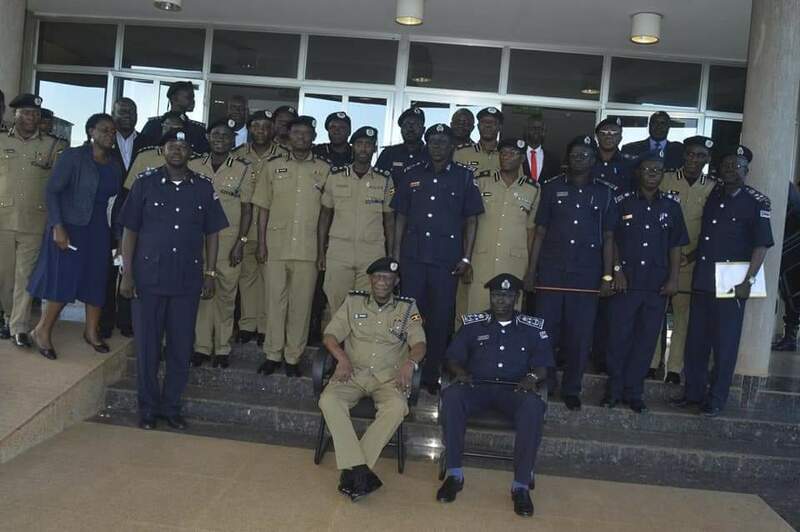 The Inspector General Police (IGP) John Martins Okoth-Ochola on Wednesday April 25, hosted a delegation of police officers from the South Sudan National Police Service(SSNPS) headed by the IGP Gen Majak Akec Malok at police headquarters in Naguru, Kampala. 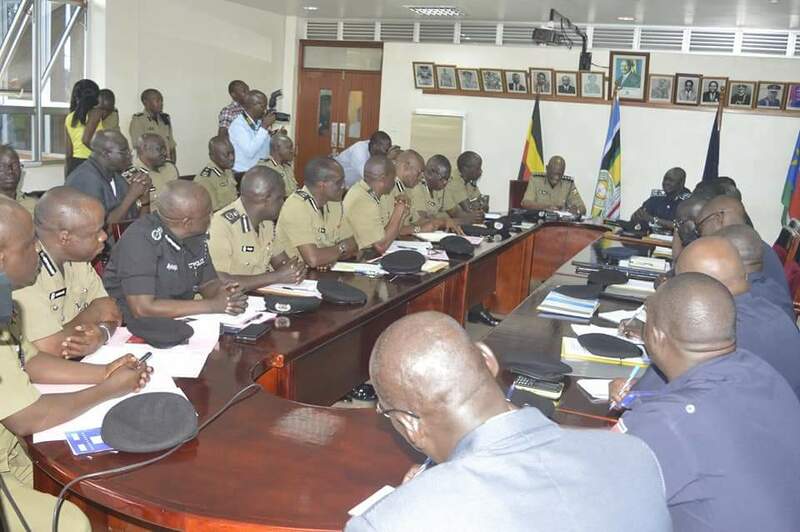 “It gives me a lot of pleasure to host and welcome the delegation from the South Sudan National Police Service that has specifically come to visit us today , the first time the new management is meeting the new South Sudan police” IGP Ochola said in his opening remarks. 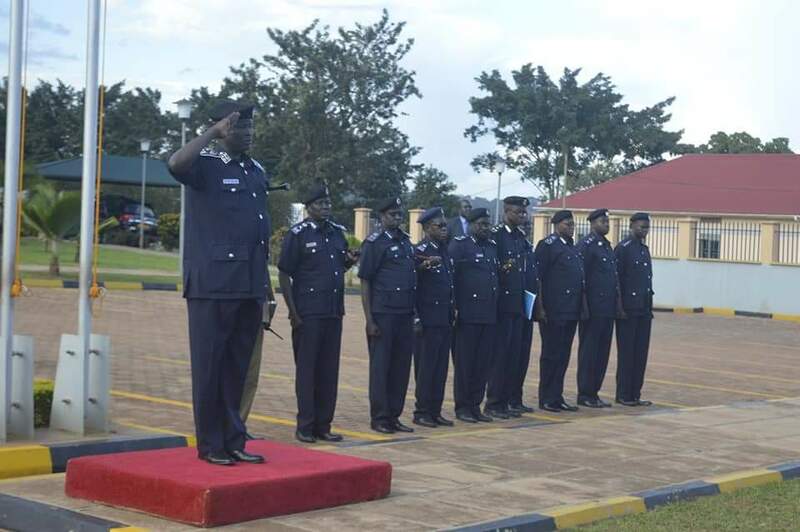 IGP Ochola said the two forces have continued to collaborate in different areas in terms of training, information sharing, intelligence and other operation fields adding that for record over 80,000 cadet officers from south Sudan national police service have been trained in Uganda by police. 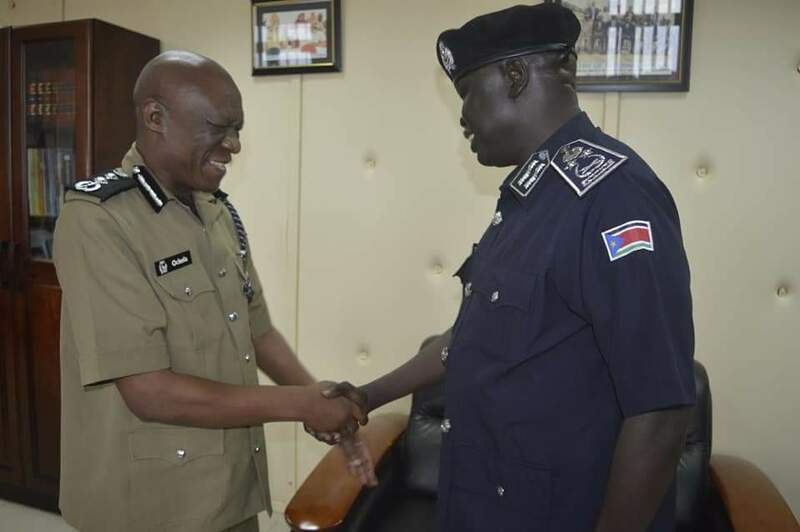 He added that in addition Uganda police have sent a number of trainers in different areas of specialization to help in building of different competencies and skills in South Sudan. “Consequently we must open our doors and hearts to multinational and bilateral police cooperation because crime knows no boundaries and with this kind of meetings I hope we can achieve adding that the only way to win against criminals is solidarity between the law enforcement agencies through sharing information between countries”.Ochola noted . Gen Majok Akec Malok thanked Uganda for the hospitality and warm welcome the country has accorded to them. “We are very delighted to come to Uganda as an infant country to discuss important matters , you have been supporting us during our struggle for the liberation of our country” said the IGP south Sudan. He added “We have to share information on issues that are related to human trafficking , terrorism, organized crimes , training and capacity building ,investigation’s,Counter intelligence and the Gulu, Nimule Kampala highway security.